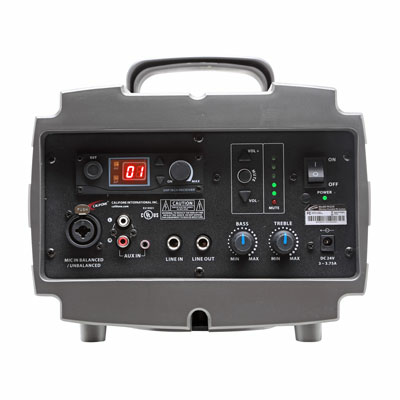 School audio equipment needs to be rugged and versatile, whether it’s needed inside or outdoors, hooked up to a computer, projector, smartphone or tablet, or needed for straight forward voice amplification. The variations are endless and the flexibility built into the PresentationPro makes this PA workhorse a good investment. It’s built for fast and easy set-ups so you don’t need an engineering degree in order to turn it on and start the presentation. With an increasing number of schools installing projectors and interactive whiteboards into classrooms on a district wide basis, the need has never been clearer to complement these systems with a high-quality speaker that engages students. And with students being involved in so many technology-based activities throughout the year, including Skype sessions Google Hangouts, Facetime, and podcasting, having a powerful enough speaker in the classroom is essential. The PresentationPro provides educators with high-quality audio support, whether for vocal reinforcement or connecting to mobile devices, LCD projectors, netbooks, notebooks, laptop & desktop computers for enhanced audio learning. This way the entire class can hear the video or any other digital resource being used. The PresentationPro is powerful enough so a single speaker can be used in each classroom, minimizing installation time and costs. 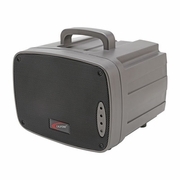 It can be used in classrooms, labs, cafeterias, auditoriums, meeting rooms, hotel & conference rooms, and even outdoor events. Part# PA329 See dropdown menu for additional options.